Includes motorways, national and regional thoroughfares and local roads throughout the country. Displays points of interest throughout the country, including restaurants, lodging, attractions, petrol stations, shopping and ATMs. Gives turn-by-turn directions on compatible devices. Enhances pronunciation for compatible devices that speak street names (example: "Turn right on Main Street"). 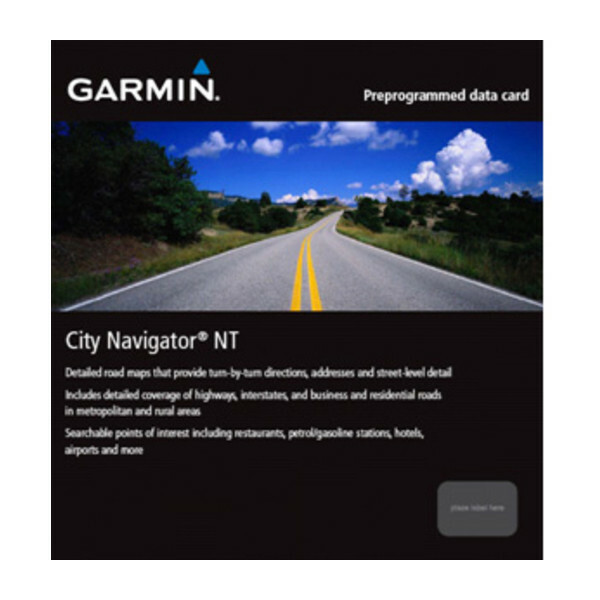 Includes navigational features, such as turn restrictions, roundabout guidance and speed categories. The file size of this download and space required on device or microSD™/SD™ card is 250 MB. If this download does not fit on your device, data may be saved on a microSD/SD card (Recycled microSD cards may be used to program map data). 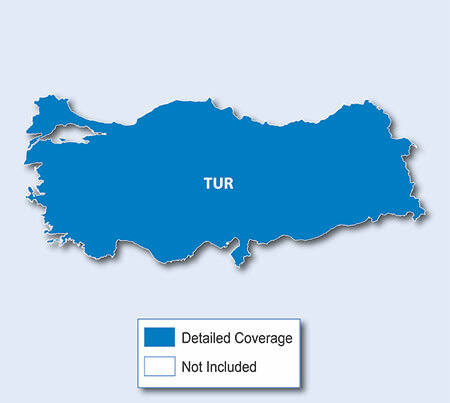 Features full country coverage for Turkey.